Ken Dodd, Captain (ret.) Wake County Sheriff Dept., has a breadth of experience that spans 30 years in law enforcement. Ken is a NRA Certified Pistol and Rifle Instructor, a NC Specialized Police Firearms Instructor, a certified law enforcement firearms instructor, a certified armorer, and well versed in non-lethal, self-defense techniques. Greg Kirkman, retired Wake County Sheriff Dept., is a veteran of three decades in law enforcement. He has been a patrol officer, a member of SWAT, and has worked and trained closely with the FBI and Secret Service. Greg has, since FTA’s co-founding in 1995, instructed thousands of students. 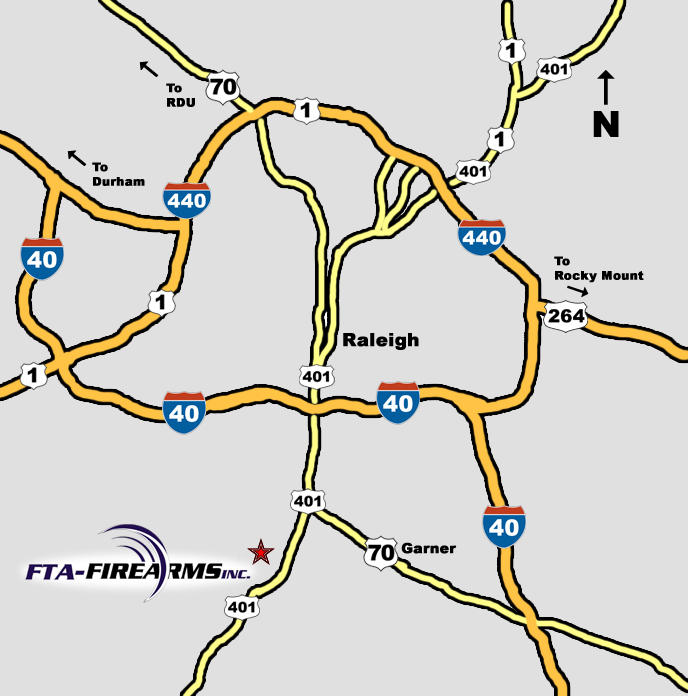 Greg has firearms instructor certifications from the FBI, the NC Criminal Justice Training & Standards and the NRA. His expertise includes handguns, rifles, shotguns, and submachine guns. Greg has developed special weapons training programs for numerous police agencies in North Carolina. A former competitive shooter, Greg is also a Lifetime NRA Member. Merrick Buffaloe is a Raleigh native and private business owner who has an interest and a respect for guns as well as a passion for the 2nd Amendment. He is a NRA Certified Handgun Instructor and a North Carolina Certified Concealed Carry Instructor. 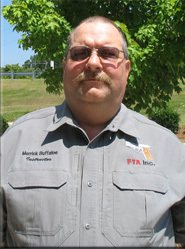 Merrick has been involved with FTA, Inc. from its start in December of 1995 and has been a key member in the operation of the company. Dave McAleer, Special Agent (ret.) BATFE, had a law enforcement career that stretched more than 30 years and covered nearly everything from a small town police department to a major federal agency. Dave is an NRA Certified Handgun Instructor, an NC Certified Concealed Carry Instructor, a veteran of the US Navy, and a graduate of Ole Miss. 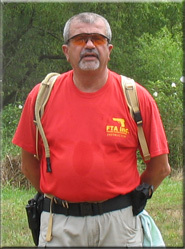 He enjoys teaching and welcoming new shooters of all ages to the experience. Jack started his Law Enforcement career in 1984 with the NC Department of Corrections. He worked as a Deputy Sheriff in Wake County for 15 years. He obtained his General Instructor’s Certificate in 1997 and his Specialized Police Firearms Instructor’s Certificate in 1998. Jack also Attended Costal Carolina Community College and received training as a Police Sniper in 2003. He has been teaching and training effective gun safety and shooting techniques to the present day. He is a Lifetime Member of the NRA. Jack retired as a Corporal with the Apex Police Department in 2007 with a total of 23 years experience in Law Enforcement. Jim’s law enforcement career began in 1984 with the Summit County, Ohio Sheriff’s Department. Jim has served as a Special Deputy on Patrol, a Correctional Officer. He has been assigned to the courts and special services where he worked on high security trials, the extradition of prisoners and was assigned to provide security for judges. Jim is trained in the use of handguns, shotguns, ASP batons, Stun Guns and Tasers. He took Top Gun honors in the Sheriff Academy and is and NRA Sharpshooter in Rifle. 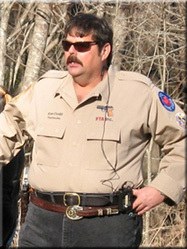 This former Eagle Scout joined FTA Firearms in 2011 serving as an Instructor and Range Safety Officer. 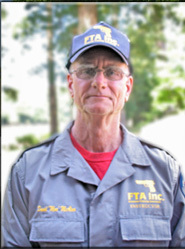 Larry Wegman has been with FTA, Inc. since May 2010 and is an NRA certified Range Safety Officer, an NRA certified Pistol Instructor and has earned his NC Concealed Carry Handgun Instructor certification. 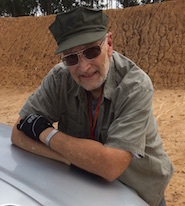 A television producer/director for more than 30 years Larry is a shooting enthusiast with an interest in military history, and enjoys working with students to ensure a fun and safe shooting experience. Jim began his shooting career in 1967 with the United States Marine Corps. During a 35 year-long career working for the US Government Jim was always involved in the shooting sports and the firearms industry. 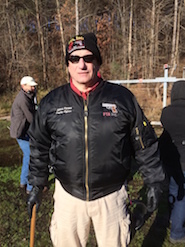 A former Maryland state Trap champion, Jim also spent many years in the retail side of the business and is accomplished in the use of handgun, shotguns, AR and AK platforms. 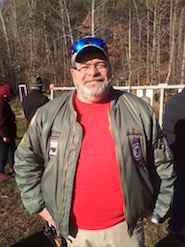 Now retired from the US Postal service he currently works with FTA Firearms helping the other instructors secure a safe range on qualification days.